There are other ways to welcome the return of crisp mornings of autumn without pumpkin spice. 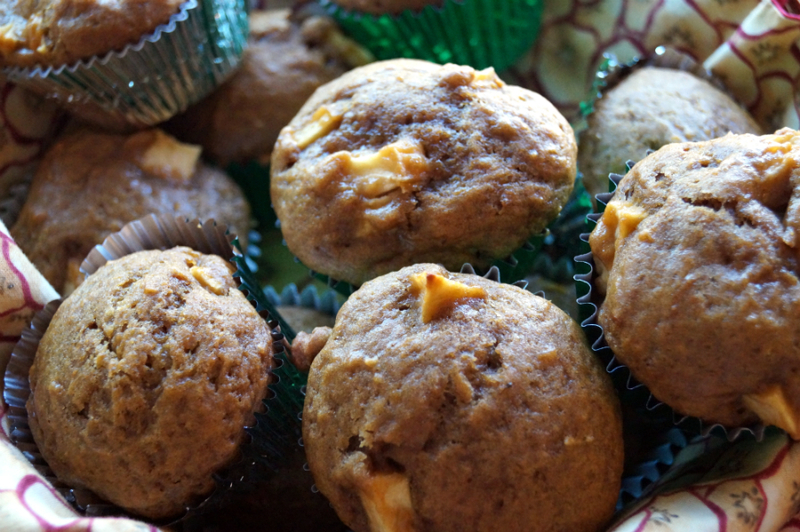 These ginger apple muffins are chock full of cozy fall flavors – cinnamon, ginger, and molasses. I’m not sure I’ll make it apple picking this year, but since plenty of friends do seem to be making their way to orchards I’ve been able to score a hand-picked apple here and there. To be perfectly honest, area orchards in recent years have felt as over run as a beach on a 90 degree F., summer’s day. I sound cranky. Does this mean I’ve finally become a curmudgeon? Maybe. But I’ll take it as a good sign that more young families are interested in giving their children an understanding of where their food comes from before it is stocked and stored on grocery shelves. And everyone needs a tractor ride at least once a year. But I may just opt to stay home. Or pick peaches earlier in the summer, like I did this year. 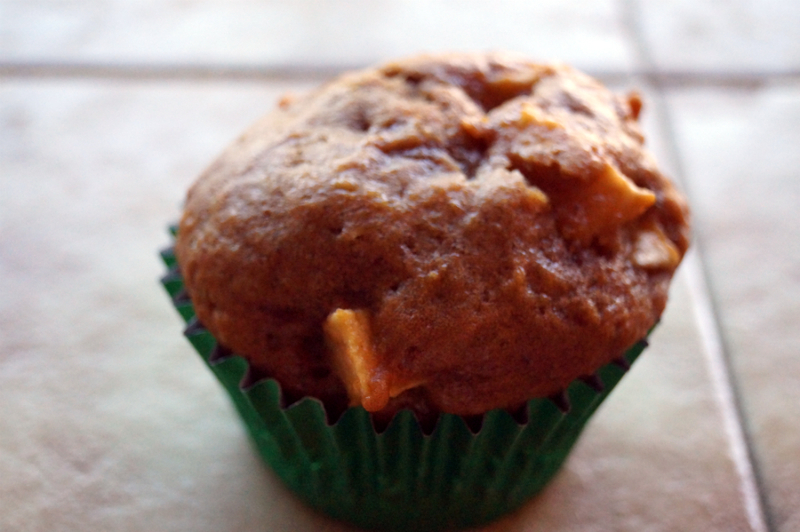 If you have returned from the apple orchard and are now staggering under the realization that maybe you picked more apples than you know what to do with, make these muffins! Bake them the night before and then enjoy them with a hot beverage the next morning. 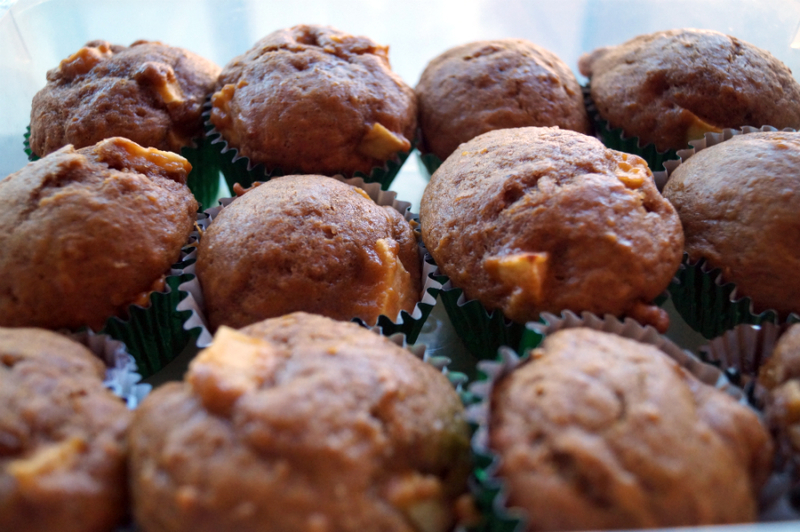 I didn’t have the crystalized ginger in my cupboards that this recipe calls for, but these muffins were still delicious and flavor-packed without it. 1. Preheat oven to 325 degrees F. Prepare muffin tins with liners or by spraying with a nonstick baking spray. 2. Combine the flour, sugar, baking soda, salt, ground ginger, and cinnamon in a large bowl. In a separate bowl, whisk together the yogurt, eggs, oil, and molasses. Stir in the fresh ginger. 3. Combine the wet ingredients with the dry ingredients until well blended. Stir in the crystallized ginger and the apple. The batter will be pretty thick. 4. Spoon the batter into the muffin tins, so that each tin is about 2/3 – 3/4 full. 5. Bake for 20-25 minutes.